The people of Biafra once again face annihilation despite talk of resuming relief flights. Until last month, international charities had secured the passage of vital protein foods into the war area, and ended the famine in which more than a million people, of both sexes and all ages, died of hunger and deficiency diseases. Now the famine is be to be repeated – especially since a number of spokesmen for the Federal Nigerian government have at last admitted that their policy is to use starvation as a weapon to subjugate Biafra. The British government continues to support the Federal campaign, diplomatically and in the massive supply of arms. 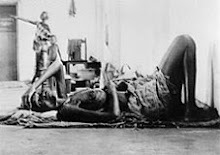 In the hospitals and mortuaries of Biafra, the causes of starvation and death are inscribed in the victims’ records officially ‘The Wilson Syndrome’. The issues in the war are fairly simple. The demands of General Gowon’s Federal Nigerian government are for the total surrender of Biafra and the total re-organisation of the whole of Nigeria into 12 states one of which would be a truncated ‘Iboland’ without access to the sea. The other Ibo areas would be carved up in different regions. The vital Port Harcourt (predominantly an Ibo town) and several Ibo-speaking oil areas would be outside ‘Iboland’. 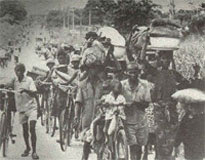 Quite apart from the prospect of this dismemberment, the Eastern people do not trust their future within a Federal structure which in 1966 permitted several waves of massacre of their citizens in the backward North and which in 1967 refused to accept any financial responsibility for assistance to the two million Ibos who migrated back into the East after the massacre. 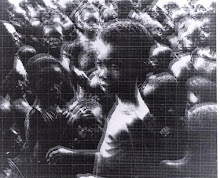 They do not trust a regime which imposed a total blockade on the Eastern region, when the latter, after the refusal of aid, switched its funds from Federal taxes to local relief, and which has demonstrated its concern for the population of Biafra(whom it claims to rule) by genocidal starvation and the repeated slaughter of whole townships by Northern units waging a fanatical Muslim ‘holy war’. What are Biafra’s demands? Simply sovereignty and independence, with the borders of the new state to be determined by referendum among the peoples of disputed areas, with the re-settlement of any groups who wanted to live either inside or outside Biafra. Virtually nobody, in fact, can be found who will defend the Federals’ war-aims. Nobody, that is, except the official ‘Nigerian Marxist-Leninists’ delegation to the international Communist Party conference in Moscow last month which declared, without any contradiction in the assembly, that ‘history and the example of the Soviet Union’ had proved the justice of the Federal/Military government’s 12-state programme and that Biafra had been set up by, among others, the Vatican and Mao Tse-tung. There has been, on the other hand a marked lack of enthusiasm on the Left for taking up the Biafrans’ cause. Surely some compromise should be arrived at, or so it is hinted. Unfortunately, as in Vietnam, the demand for ‘negotiation’ is illusory. The Federal side demands surrender – it is the Biafrans who are calling for a cease-fire and talks. Even the recent attempts by a few high-ranking Biafrans to fish for a settlement on terms of less than full sovereignty have proved totally abortive. General Gowon wants his victory. It is quite likely, in any case that any compromise offered by Biafran leaders would be repudiated by the populace. In the original decision to secede in May 1967, Ojukwu was pushed beyond the mandate he requested to ‘assert the autonomy of Eastern Nigeria without specifying either when or in what form this autonomy should finally be claimed’. The Eastern ‘Consultative Assembly’, responding to the pressure of mass meetings in the localities instead mandated him urgently to declare the total secession of an independent Biafra. So much for the image of a Biafra created by the wilful ineptitude of the intransigent General Ojukwu. Others on the Left allege that Biafra is in some way or other an imperialist puppet, the creature of South Africa, Portugal or France. If this were so, the recognition of Biafra by Tanzania and Zambia, who (especially the former) are vigorous opponents of white imperialism in Africa, would be very surprising. And it is not so, Portugal supplies no arms or aid to Biafra (with the exception of permitting one of Biafra’s few air outlets to the outside world via Lisbon and Sao Tome). Rumours of South African mercenaries have subsided as such characters have failed to make any appearance in the actual course of the war – although we must not forget the vicious behaviour of the small group of Swedes who recently committed the unforgivable atrocity of destroying most of Nigeria’s Russian bombers by flying low over them with lightly-armed trainers (clear evidence of western neo-colonial influence). The role of France is obscure, though nobody suggested that de Gaulle’s diplomatic support for North Vietnam and the Arab world meant that Ho Chi Minh or Nasser had sold out to French imperialism. There have been reports that French channels have been used for the sale of arms to Biafra. Even if these accounts were true, why the hell not? The Federal Nigerian government denies this incidentally, claiming that Biafra is being armed from China, no less. Far from being a, neo-colonialist stooge, the Biafran government has taken over the oil fields in its territory, and is now the first African nation to refine its own oil. Biafran guerrillas in the Mid-West are, operating successfully against Shell-BP’s pipelines in areas adjacent to Biafra (hence those captured oilmen), where the British oil, companies have been moving in behind the Nigerian army to extract new wealth. Britain gets 20 per cent of its oil from Nigeria and would like more, given the Arab situation; Shell-UK bases its growth prospects for the coming year almost entirely on its Nigerian activities. This month, Shell-BP plans to open a new 60-mile pipeline in the Mid-West costing £17½ million. 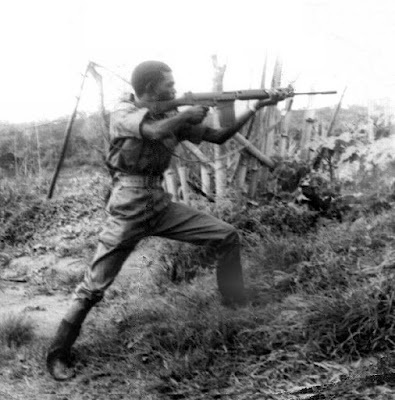 As Auberon Waugh pointed out in The Spectator (May 30) these pipelines are militarily indefensible, in a region where an effective Biafran guerrilla force has been ranging for the last six months with the support of the Mid-West people. Possibly the recent outcry in certain British newspapers over Biafra’s plight may be prompted by the realisation that, ‘our oil’ is not, after all, safeguarded by the support given by Gowon. Readers of the press may remember the prominence given to a Major-General H.T. 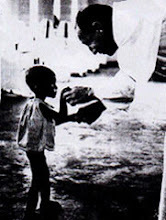 Alexander, former Chief of Staff in Nkrumah’s Ghana, who visited the Federal-occupied areas as an ‘impartial observer’ and reported that no genocide was being committed. A man, clearly, of impeccable credentials. Auberon Waugh, in the article cited above, revealed (1) that Major-General Alexander is managing director of London and Thames Haven Oil Wharves, which was deriving 75 per cent of its profits from Shell and (2) that Shell has now taken over London and Thames, loch, stock and General Alexander. On any other issue of course the Tory Spectator would not come out with this kind of exposure. The silence and inactivity of the official and unofficial British Labour movement on Biafra has been appalling. The alliance of Brezhnev’s Russia and Shell-BP, of technological Harold and the feudal Emirs of North Nigeria would be monstrous enough even without its consequences and its consequences are imperialist mass-murder, the war of oil and blood. The protest movement in the West has been softened up for too long. Duties are no longer enough for it, it must have the excitement of loyalties. If Ojukwu were to exclaim – ‘Viva Che!’ and proclaim himself a Marxist; if Biafra were to invent yet another phoney brand of ‘African socialism’ and introduce a one-party (instead of a no-party) state, then of course, ‘solidarity campaigns’ would, sprout and Shell-Mex House would replace Grosvenor Square as the scene of demonstration and battle. Some supporters of Biafra have in their enthusiasm tended to claim that Ojukwu’s regime represents some new wave of African radicalism. This is probably not so. A consistent anti-imperialist and anti-capitalist programme will need to be developed, in Biafra no less than in Nigeria, against the military, bureaucratic and native-business structure. Paradoxically, it has been the very existence of illusions about the ‘socialism’ of many third world movements that has prevented the cruel invasion of foreign powers, of monopolist exploiters, and of an Islamic mediaeval Mafia on a scale which makes Vietnam look like a picnic. The cause of Biafra is just. Its people are fighting a heroic war of courage and ingenuity against the gigantic weaponry of a feudal-imperial bloc. And they are being killed off, the first million already, the next million probably soon to come. That should be enough surely to compel us to act.